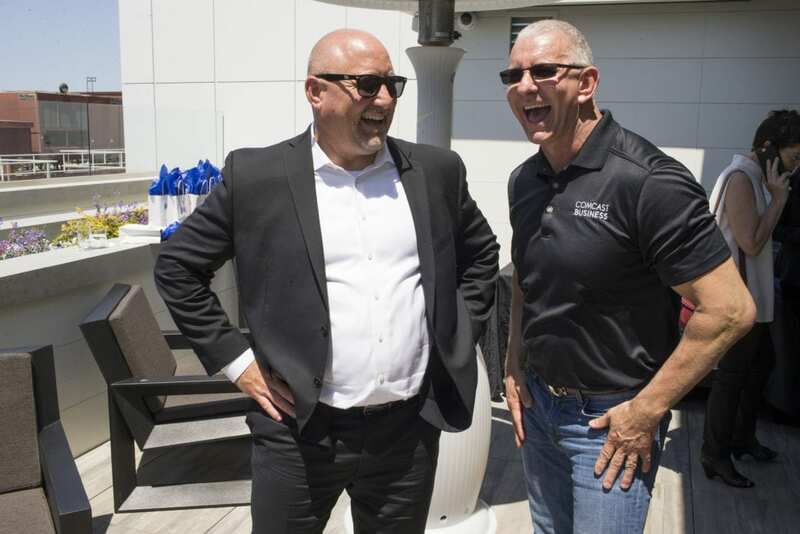 Comcast Business announced that Hotel VIA, located in San Francisco, has selected its high-performance Ethernet, internet, Wi-Fi and advanced voice services to deliver an unprecedented personalized hospitality experience. Supported by Comcast Business technology, the new boutique hotel offers tech-savvy travelers a customized mobile concierge app to allow guests to make decisions for their particular needs and plan their stay; the ability to use a mobile phone as a room key; a seven-inch personal tablet for access to guest services, promotions and entertainment; and other innovative, forward-thinking technologies. As the first newly constructed hotel in San Francisco since 2008, Hotel VIA is a 159-room venue located in the South Beach neighborhood at 138 King St., directly across from the San Francisco Giants stadium. Opening for guests in July, the hotel requires significant network capacity to enable the implementation of technological amenities to make it easier to connect with guests. Comcast equipped the hotel with a Passive Optical LAN (POL)-based Ethernet solution with a five gigabit per second (Gbps) service enabling guests and employees to access the internet anytime, anywhere on the hotel property. With this secure and efficient network solution, Hotel VIA’s guests are able to connect to an unlimited number of devices and have instant access to high-speed data, voice and video. 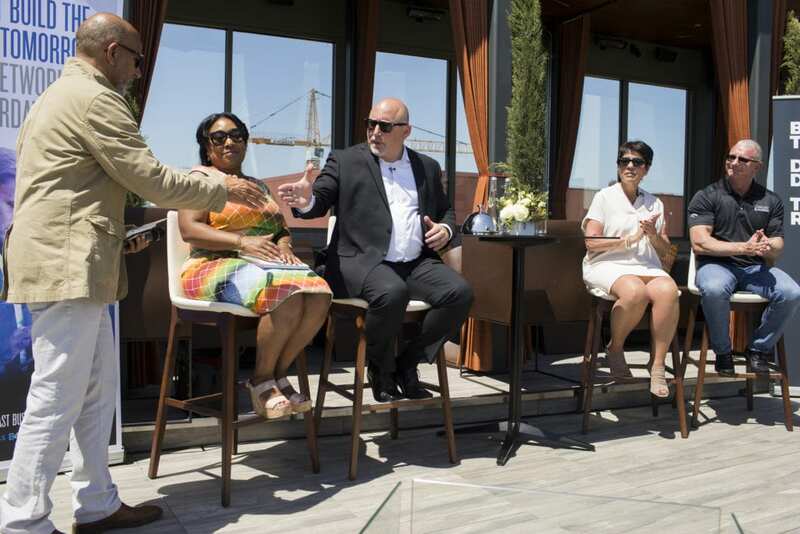 To celebrate the hotel’s grand opening, Comcast hosted a panel discussion titled, “How Technology Can Enhance the Guest Experience,” which explored the influence technology has in today’s hospitality sector. 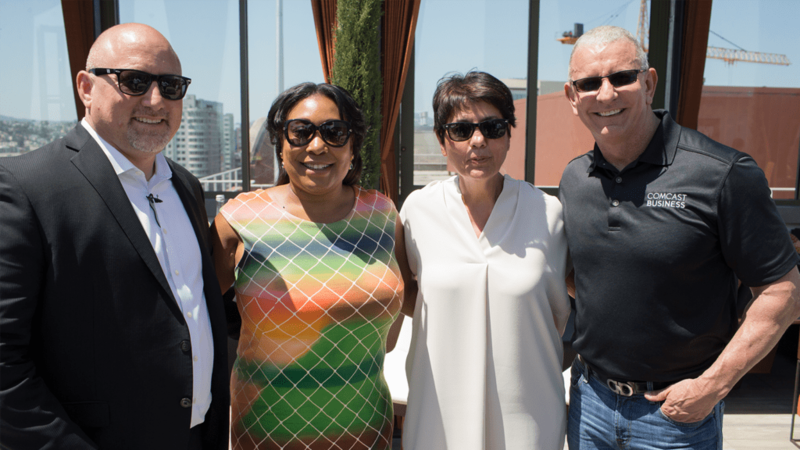 The panel was moderated by Gwyneth Borden, Executive Director of the Golden Gate Restaurant Association and featured notable panelists including Ted Girdner of Comcast Business, Barbara Perzigian of Hotel VIA and celebrity chef Robert Irvine.